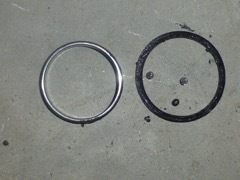 That the bottom bearing seal was broken and a ball fell out which happened to be broken in half. 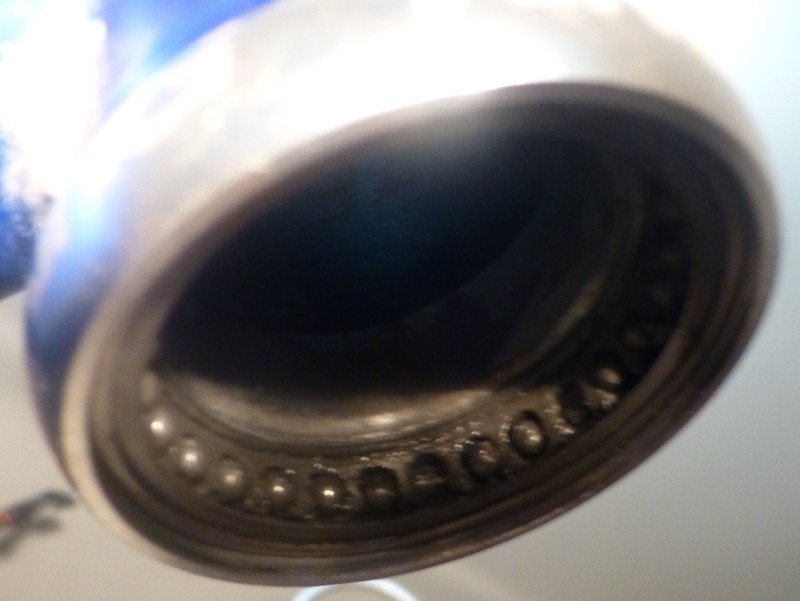 I did not reinstall that bearing but ordered a new "Crank Brothers" 1 1/8" non threaded headset. The same as what was in the bike. Interestingly it was over $200 from Chain Reaction yet only $123 from Wiggle. photo shows broken ball and pitted race. 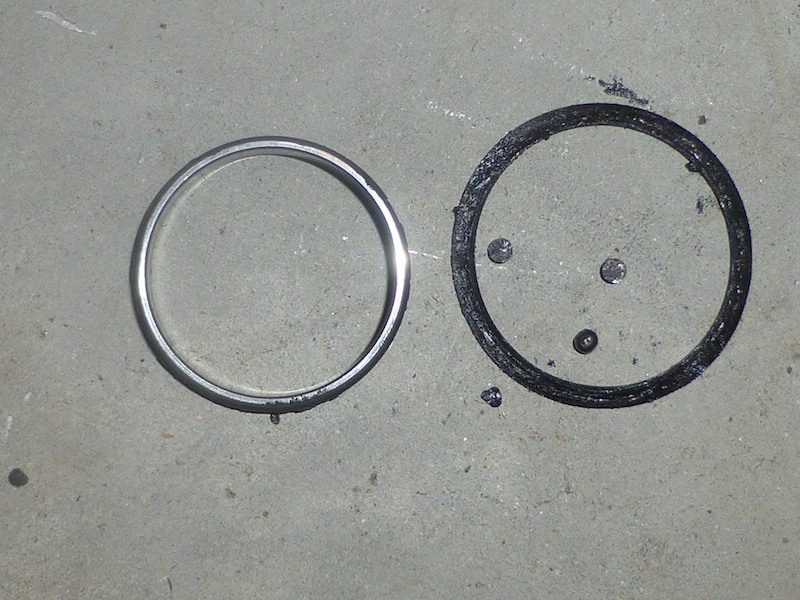 I also pedal repair kits from Torpedo 7 at the same time as the bearings are obviously shot.